I have always been interested in gadgets. As a boy I was fascinated with science and spent many, many hours with my chemistry set and electronics kits. In those days there were stores like Olson’s (formerly Tandy and now Radio Shack), Heath Kit, Estes Rockets, Allied and others where you could buy parts or kits to build all kinds of things – radios, rockets, lasers, walkie-talkies, parabolic microphones and all sorts of stuff. In these days when young folks are intrigued by web design, media creation and the like, in those days it was amateur radio also called ham radio. Amateur radio operators also discovered that long-distance communication was possible on shortwave bands. Many amateurs began as I did with a fascination with radio communication and then combined other personal interests to make pursuit of the hobby rewarding. I built a transmitter and was able to talk with people in Australia, Hawaii, Canada, South America and other parts of the U.S. When I was 16 I got a First Class Radio License. When I was in my early 20s, I discovered that my neighbor’s grandmother owned a radio station in northern California. He and I visited one day and I was fascinated and began hanging out there from time to time when I could. In 1978, she indicated an interest in selling the station. I tried unsuccessfully to organize an effort to buy the station from her. I was going to call it KKYO as I was chanting Nam Myoho Renge Kyo – Kyo refers to sound or harmonious vibration. Several of my colleagues – Paul Bodhise, Ed Allmond, Bradie Speller and I started putting together radio concepts that, now that I think about it, were progressive, clever and involved great music. We created commercials called the Positive Spiritual Message Series that were, in effect, like public service announcements with motivational messages but would be brought to you by a commercial business. I grew up in Los Angeles in the ‘50s and ‘60s and during that era, Black Radio was the glue cementing Black communities across America. In Los Angeles there were five or six Black-owned stations including KGFJ, which was the hottest station in the country. 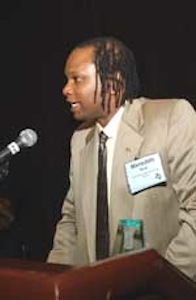 Black radio was the voice of the community and was really focused on community service and great music. 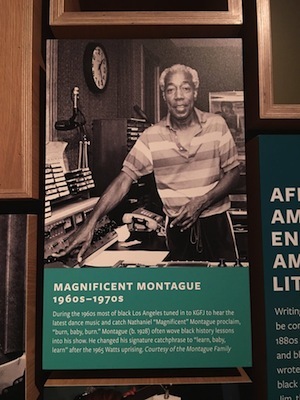 The hottest deejay in the country at that time was Magnificent Montague, who coined the phrase “Burn Baby Burn,” (which meant something like “cookin’ with gas” or really doing it). 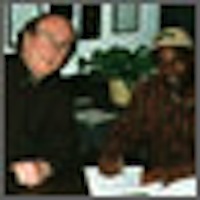 During my years as Marketing Director for Motown Records my interaction with radio was primarily around recording artists and getting them airplay, promotions and exposure. Often deejays were hanging out in the recording studios with the artists. When I left Motown to take a spot at Dell Computer as Global Webmaster of the Intranet, I figured that one day I would eventually get more deeply into radio but thought it would be some years later. In 1997, the County of Los Angeles informed me that the application that I had submitted back in 1995 to hold The African Music Festival in L.A. had been approved. We had been trying to bring The Festival, founded by my business partner Oko Drammeh which had been held in Holland since 1983, to Los Angeles. 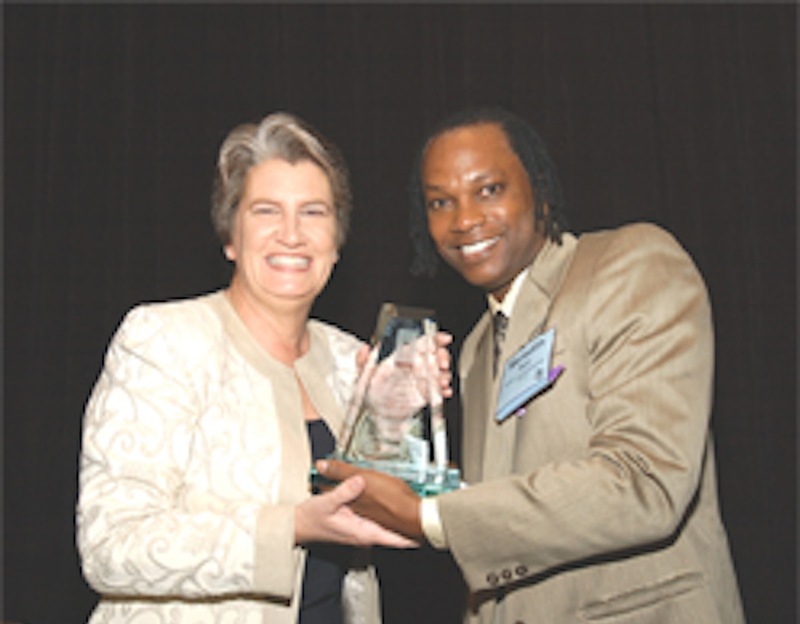 We held a gala reception the day before the event and I invited Magnificent Montague to be the keynote speaker. Montague had been collecting African-American memorabilia and had accumulated one of the largest collections in the world. He has items like all of Fredrick Douglas’ books signed in mint condition, spoken word by Langston Hughes in his own voice, a peanut oil painting by George Washington Carver, if you saw the movie Amistad – the ship’s manifest is on Montague’s coffee table. I invited him to speak and bring a few pieces illustrating the connection between Africans and African Americans. That some years later was accelerated to 1999. In Austin, TX they had one smooth Jazz station when I moved there. I missed REAL Jazz and Jazz Fusion but it was better than none. One day we woke up and the station had switched to Country/Western. My friends and I were bumbed out at the loss of the format. I said, “Hey why don’t we get together, pool our money and buy a station and do some Jazz.” I called Montague and told him I wanted a station. He spent the next couple of hours telling me why I didn’t want one. Then he said, “If you think you’re still interested, send me some money.” I did and he spent the next year or so mentoring me. He had friends who owned stations and I would take weekends and fly out and spend time hanging out at their stations picking their brains. I subscribed to trade magazines and talked with engineers and station brokers. All this was while I was still working my full-time job as Global Webmaster at Dell Computer Corp. My responsibilities at Dell had me traveling extensively so I would study broadcasting in between and take the trips to radio stations when I had a long enough break from traveling for Dell. Montague would come to Texas and we would drive around the state looking at potential purchases, trying to find a station for me to get started with. A station in Austin would be cost-prohibitive so we focused mainly on smaller cities not too far from Austin. We eventually found an AM/FM combo--two stations in Jasper, TX. I sent Montague and my white engineer and attorney to do the due diligence. When it came time to sign I came with the entourage. I imagine they thought I was one of the clerks or something until they passed the contracts down to the end of the table for me to sign. July 11, 2000, I purchased KTXJ and KWYX for $950,000 cash. I had cashed in some of my Dell stock to make the purchase. A couple of months later I bought another station – KCLW in Hamilton, TX for $250,000. My engineer told me about an opportunity no one knew about yet. One of his clients in declining health had mentioned his interest in selling his station but it was not on the market yet. I got to him first and offered $2.5 million for KOKE – the last available signal in the Austin, TX market. I gave him a down payment of $250,000 and was to partner with a few buddies to complete the purchase but in between time the 9/11 terrorist attack happened and the stock market took a dive and they lost their liquidity so I wound up sitting in the seat by myself. I created the Lasting Value Broadcasting Network with those four stations. KCLW was an old grandfathered “clear channel” signal. In the 1930s the FCC designated a number of radio station to have protected signals – that is – no one else could be on that frequency – a clear channel with no interference. 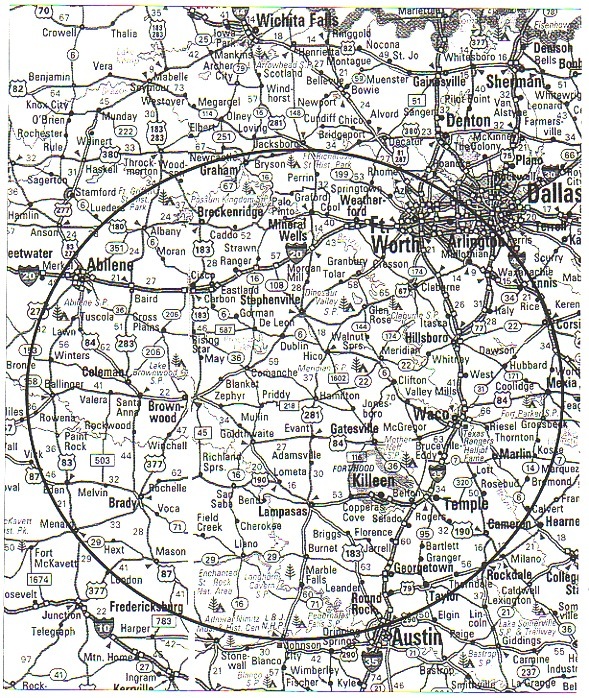 KCLW was the only clear channel signal left in Texas and at 900hz it traveled far, to the point that it had the largest geographic coverage of any radio station in Texas. You could hear it from southwest Ft. Worth down to north Austin. KCLW’s signal butted up against KOKE coverage so if you combined the two and you had a huge geography to cover. In most cases when I purchased the stations I kept the same personnel, same General Manager and the same format. I was literally an absentee owner in that my role at Dell was quite consuming. I brought my homeboys from Los Angeles and cousins from L.A. and Texas to back me up. 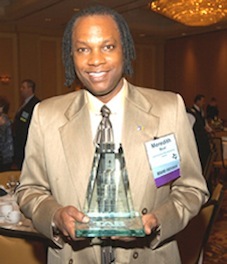 Ronald Beal served as Operations Manager and managed the GMs at the stations and daily operations at the corporate headquarters in Austin. He would talk with them day to day and I would get a weekly report and talk with the GMs once a month. Jonathan Clark and Thurston Bilal came down to run the education, animation and media programs and Barry Sutton moved to Austin to run real estate activities. 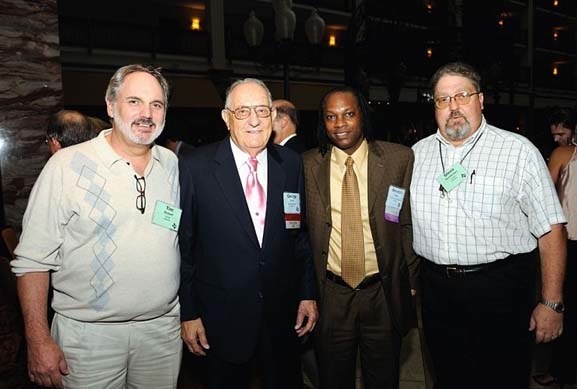 In 2006 I launched the Lone Star Sports Network pioneering the broadcasting of high school sports on the Internet. At one point, we were broadcasting 10 high school football games simultaneously every Friday and we broadcasted from more than 25 cities. I was talking with the President of the Texas Association of Broadcasters and she was encouraging me to participate more with the association activities. I started coming out more and at some point I was encouraged to run for the Board of the Directors. I ran for a board seat. I lost but I had fun in the process. About two weeks later I got a call from the Board asking if I was still interested. I said yes. I was told that the Board had decided to create a special seat for me. 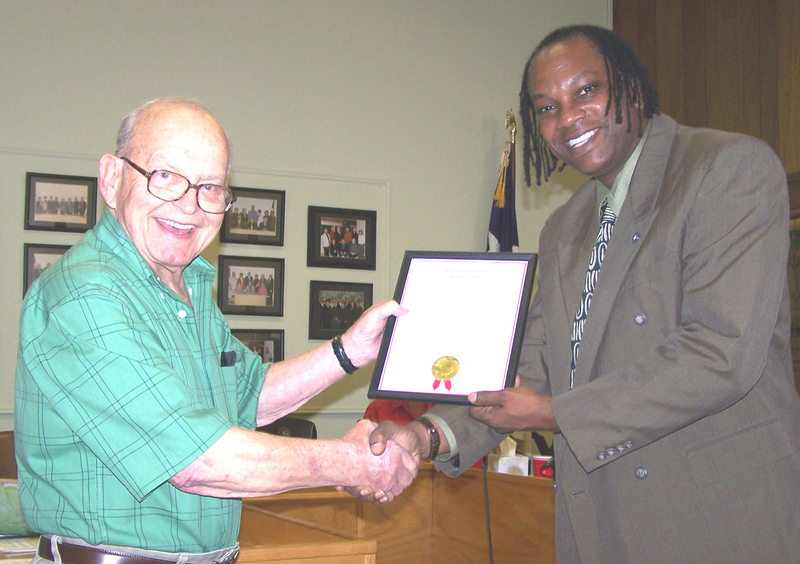 I was given a three-year term to the Board representing Small Market Radio Stations. The Broadcaster of the Year award led to more recognition and publicity -- a 3-minute feature on ABC's "Sunday World News Tonight" program, cover page stories in Radio World Magazine, Texas Magazine, Texas Monthly Magazine and the Austin American-Statesman newspaper. Because of all the media attention I was bringing the city of Hamilton, members of the business community told the mayor they wanted to do something to show their appreciation so the City Council proclaimed Meredith Beal Day in the City. "I bought my first radio station in 2000 and seven years later I received the highest honor in the field of broadcasting in the State of Texas – Texas Broadcaster of the Year. Texas has the most television and radio stations in the United States and out of all of them I was selected."